GEORGETOWN, Guyana, Sep. 4, CMC – Acting Commissioner of Police, David Ramnarine has warned members of the security forces of a zero tolerance approach if they breach the code of conduct. 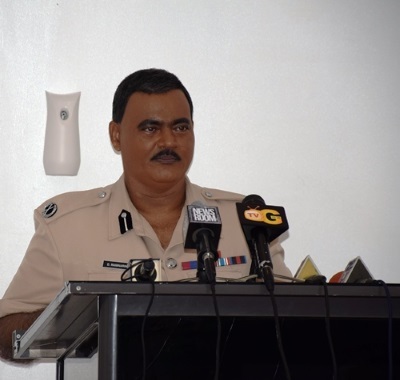 Ramnarine, warned members of the Traffic and Anti-crime Patrol division of the police force, in light of recent reports regarding the abuse of office, and irresponsible behaviour of members . Ramnarine used the opportunity to reflect on some of the recent embarrassing and disappointing reports against ranks of the force. Recently, at the Police Training College, there were three incidents of theft of cell phones; five instances within the last two weeks, and young constables were tested positive for drugs in their systems. Two of the latter were immediately dismissed. In another incident, cell phones were stolen from a Guyana Telephone and Telegraph (GTT) store where cell phones were recovered and police officers took the items and split them among themselves; and a recent incident of a police officer driving a minibus which resulted in an accident that killed one person and injured several. There were also incidences of police officers engaging in fights among themselves in the public, ranks carrying out unnecessary road blocks, arresting persons needlessly and involved in criminal acts. These are just some of the incidents which resulted in the dismissal of about 28 police ranks, Ramnarine said. 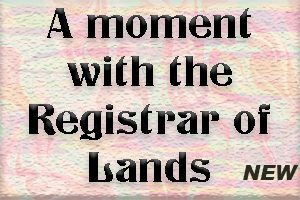 “Can you imagine that ranks that were trained on values and principles and took an oath would go low to turn praise and honour into a major disappointment and a criminal act?” Ramnarine asked. He reiterated that actions will be taken against any rank who seeks to use their office for their own self-gain or to harass citizens. Commissioner Ramnarine said that gone are the days when it took 10 years to be eligible for promotion. Guyana is a signatory of the United Nations Code of Conduct for law enforcement officials. It stresses the conduct of the function of law enforcement officials in the defense of public order, and the manner in which those functions have a direct impact on the quality of life of individuals and on the society as a whole. Ramnarine urged the ranks to live by the principles of the GFF and the UN Code of Conduct so as to foster a better working relationship with the citizens of Guyana, who have long lost confidence in the force.